Leslie Sydall Pierson (b.1910) lived during the war years at 14 Grayswood Park Road, Quinton. He was in the Home Guard and a member of either the 12th Worcestershire (Warley) Battalion whose territory was the Quinton, Warley and Langley area on the south-western side of Birmingham; or the adjoining 5th Worcestershire (Halesowen) Battalion. (Detailed images of the officers, and of some other men, in the 12th Battalion can be seen on this page of the website). Leslie Pierson worked at Castle Bromwich, almost certainly on Spitfires, as did a good friend of his, Norman Ray, who lived nearby on Hagley Road. They were both 2/Lieutenants or Lieutenants. 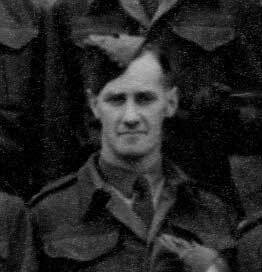 It appears that neither Leslie nor Norman were commissioned at the very beginning of the life of the Home Guard although they may well have served in the ranks from an early stage, perhaps from May or June 1940. It is no surprise that they were not amongst the first generation of officers: the latter, and that of N.C.O.s, consisted almost completely of those who had had Great War experience and Leslie was much too young for that. As time went on, men who displayed appropriate leadership qualities - and perhaps possessed specialised other skills - were promoted and it is likely that both men fell into this category. What is certain is that their promotion came some time after February 1941. 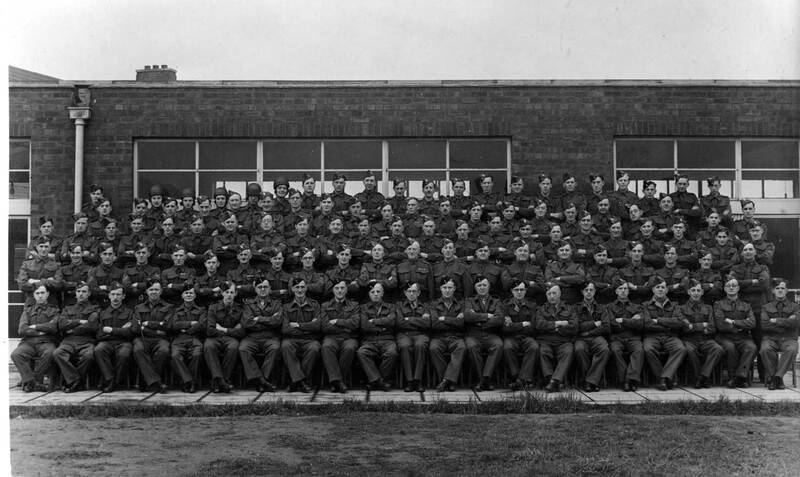 One history of the 12th Worcestershire mentions the establishment of specialist units and functions later that year and perhaps our two men were associated with this development. Leslie Pierson is in the middle row, 3rd from right; Norman Ray is next to him, 2nd from the right. Also identified is Lt. R. P. Bird, back row, 7th from the right. This image is proving difficult to analyse with complete certainty. Owing to to their home address the probability is that Leslie and Norman were members of the local unit, the 12th Worcestershire (Warley) Battalion. 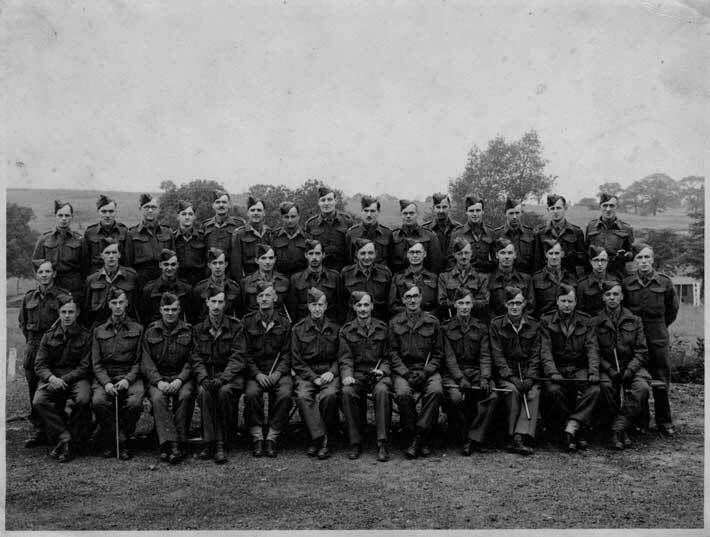 Yet neither appears in a group photograph which shows the officers of that Battalion at a later date. On the other hand at least one other officer in the above group does - Lt. R. P. Bird; whilst few other faces seem to appear in both places. There is no clear answer to this conundrum: perhaps Leslie and Norman were members of an adjoining Battalion - the 5th Worcestershire (Halesowen) Battalion is one possiblity; a less likely one is membership of the Castle Bromwich factory unit. Or could the image show, not members of a particular Battalion, but rather officers from various units on an officer training course? Perhaps further information will one day emerge to answer these questions. What is certain though is that Leslie Pierson and Norman Ray served with dedication and skill in positions of responsibility for year after year in defence of their neighbourhood and their country. Let this page stand as a modest tribute to them and to their service. Staffshomeguard is most grateful to Maureen Baker for providing the image and information on this page about her father and for permitting their publication on this website.